925 Sterling Silver Flower Earrings, Bar Earrings, Long Drop Earrings. 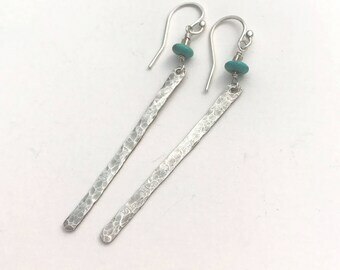 SALE - Turquoise Drop Earrings. 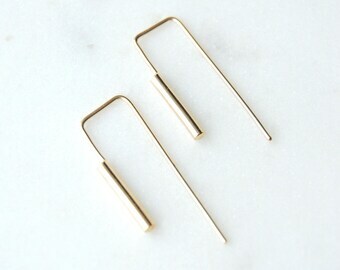 Jewel and Gold Bar Drop Earrings. Stick Earrings. Bar Earrings. Gift. Dangle Earrings.